For starters, alkaline foods are food substances that help you, health-wise, aiding you to fight off heart disease, diabetes, even cancers. Before giving you examples of what an alkaline food may be, let’s go back to the very concept of alkalinity. Think of the adjectives alkaline and acidic as polar opposites. On the “pH scale” of acidity, the minimum 1 represents an extremely acidic environment. The maximum, 14, is extremely alkaline. As always, the healthy body wants a balance, and strives hard to keep that acidic-alkaline balance a little to the alkaline side, at around pH 7.6 or so. You can go a bit higher, usefully and healthfully, on the alkaline scale. Consider: At the fairly hefty alkalinity level of 8.4 or so, most cancer cells cannot survive. Moreover, consuming more alkaline rich foods can help prevent osteoporosis. 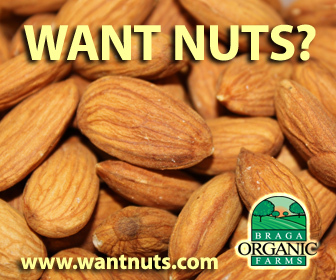 What's Wrong With Your Current Diet? Our culture, however, wants you acidic. ‘Normal’ North American diets carry a tonnage of acids that throw your body’s alkaline balance off. Coffee is highly acidic. Ditto many commercially bottled drinks. Canned and frozen food—riddled with acids. Whatever your diet—from a firm raw foods regimen, down through vegan and vegetarian options, even to the cooked-foods dieter who juts wants to eat more healthfully—part of your plan should be: Go alkaline. How do You “Go Alkaline”? Internet alkaline food lists abound. 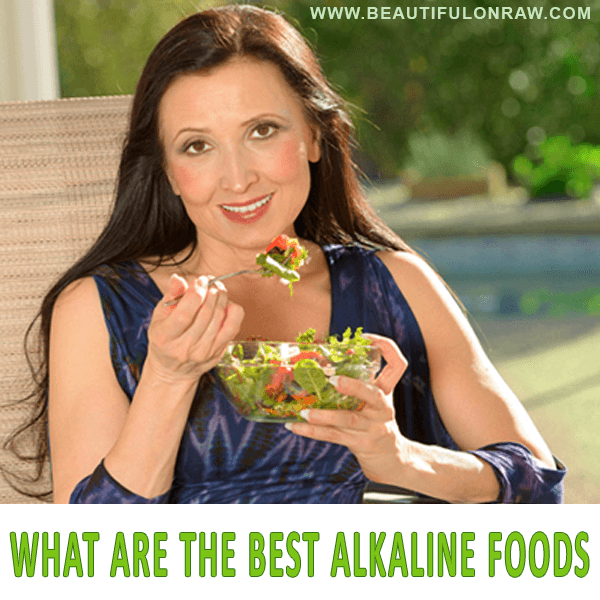 One caution: Your aim shouldn’t be to look for “alkaline foods”—not, that is, for foods which have “got a lot of alkaline substances in them,” as we often phrase such things. The point is not what’s there, but rather what’s there after you’ve digested the food. No need, by the way, when you’re seeking to raise the alkalinity of your diet, to search for exotic, expensive berries and leaves known only in the Peruvian Andes. You need go no farther than your local supermarket—all the better if it offers a good range of organically grown fruits and veggies. vegetable juices: but make them fresh squeezed! How to incorporate all these cancer-preventing veggies in your diet? Alkaline food recipes are your answer. Great news…If you’ve already joined the raw foods movement, or if you’re still just “raw-curious,” know that any sound raw food diet is already a healthful alkaline diet. The raw foods recipes section of my blog contains hundreds of recipes incorporating alkaline diet foods. High alkalinity alone won’t be your salvation. Any good diet works as a system with your body. But one thing’s for sure: An alkaline diet plan—a plan designed to raise the pH alkaline levels of your body chemistry—will bring you closer to vibrant health, wherever you stand now.